Ah, the holidays — that special time of year when you get together with your loved ones, punch your mom in the face and have a frank discussion about the art of felching. 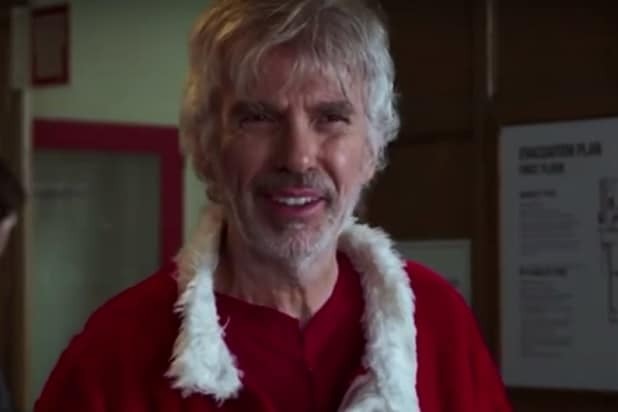 The new NSFW teaser for the film, out Nov. 23, finds Billy Bob Thornton reprising his role as debauched Saint Nick wannabe Willie, drinking, fighting and screwing his way through another greed-fueled misadventure. The latest glimpse of the film also heavily features Kathy Bates as Willie’s mother, whom Willie slugs in the mug — with hilarious results. Elsewhere, Christina Hendricks educates Thornton’s Willie about the difference between “flouting” and “felching” — an important distinction, to be sure. It’s definitely NSFW — so you’ll probably want to lock your office door and plug in the earbuds before pouring yourself an eggnog and watching. “Bad Santa 2” opens on Nov. 23.